The dusk-to-dawn curfew in the waters off the seven districts of the Eastern Sabah Security Zone (Esszone) scheduled to end at 6pm tomorrow has been extended to Nov 30, said Sabah Police Commissioner Ramli Din. 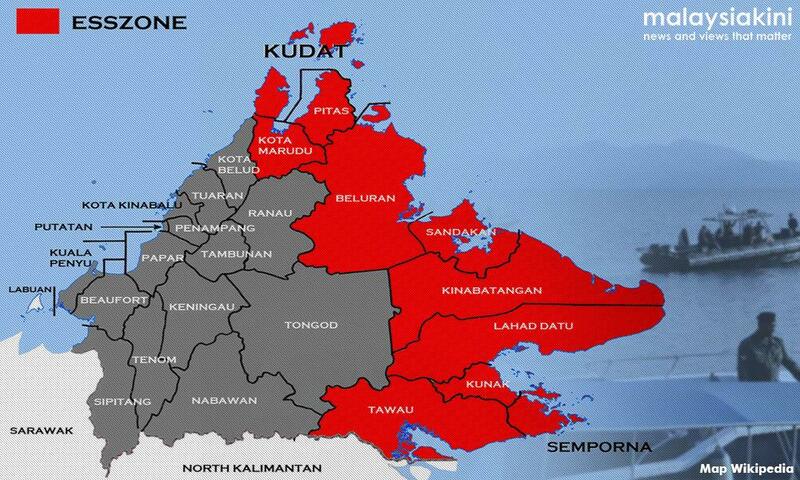 In a statement today, he advised people living in these districts, namely Tawau, Semporna, Kunak, Lahad Datu, Kinabatangan, Sandakan and Beluran, to remain indoors between 6pm and 6am. He said the curfew had been extended to ensure that the waters were not encroached by terrorists, which could threaten the security of international researchers, as well as tourists at the resort islands. Ramli said that based on information, the Abu Sayyaf militant group and those who conducted kidnappings for ransom from the southern Philippines and cross-border crimes were still active in the region. The curfew was also to facilitate enforcement and monitoring of boat movements, and the presence of security vessels creates a sense of security for chalet operators and fishermen around the area, he said. "I also authorise all district police chiefs in the Esszone districts to issue permits to eligible applicants for fishing activities, or in cases of emergencies to go through a curfew area,” he said.